A new report shows that when philanthropic trusts come together to share their time, wisdom, selves and money - incredible things can happen. This has been the experience of a collaboration between four NZ philanthropic funders; the Tindall Foundation, the Todd Foundation, the Vodafone New Zealand Foundation (Vodafone Foundation) and Foundation North – the story of which has just been published in a new report. 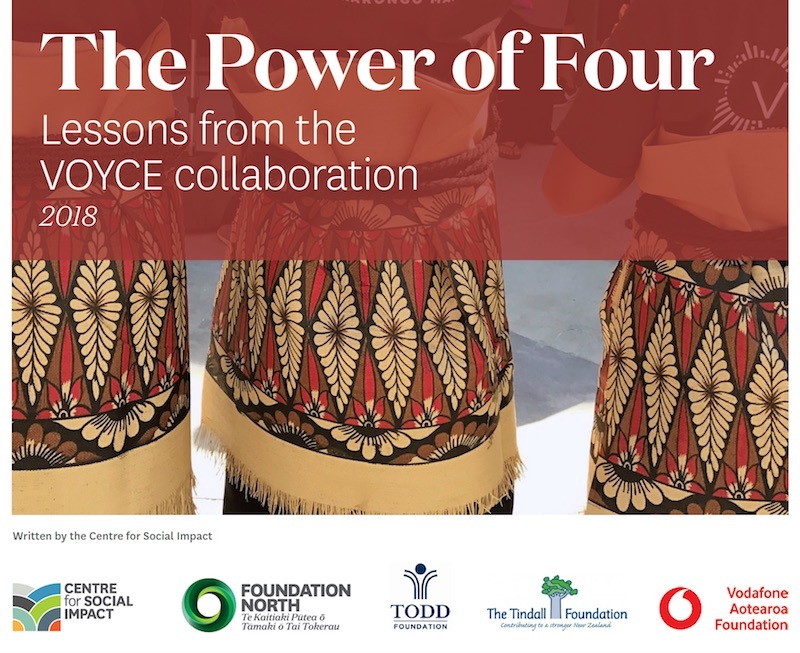 “The Power of Four: Lessons from the VOYCE collaboration”, written by Rachael Trotman, of the Centre for Social Impact, focuses on the funders’ experience of the VOYCE collaboration, which also actively involved care-experienced children and young people, central government, iwi and the foster care sector. As well as telling the story behind the collaboration, the funders are keen for their shared experience to provide learnings for others in the sector, to “identify what we learned and what works, so we can do it again; to show what collaboration looks like to us”.